Over the years of roadside sobriety testing, there have been many who have tried to “beat” the system with one trick or another. However, while the breathalyzer may not be the perfect test, there has yet to be a proven way to pass a breathalyzer. Below are some of the most common myths about how to beat a breathalyzer– some don’t work at all, while some may actually make you test higher on your roadside test. The only way to “beat” the breathalyzer is to drink responsibility. 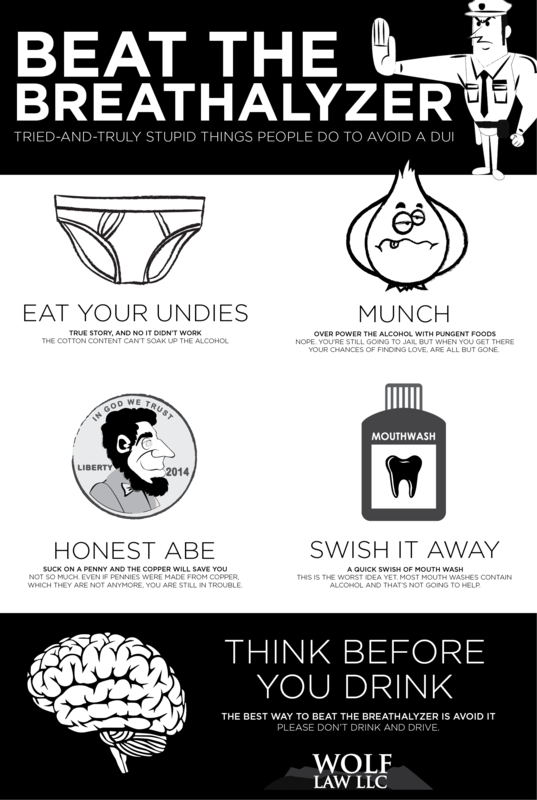 If you get yourself in a pickle, don’t try eating your underwear… Call a DUI lawyer instead!